Available exclusively from Camaro Collection! 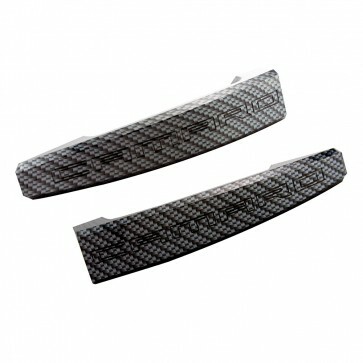 Officially GM-licensed Carbon Fiber Hydrographic door handles with the Camaro logo. Each part is Hydro-Dipped using a water transfer ink-based technique, providing the Carbon Fiber look, and then finished with an automotive-quality clear coat. These parts are crafted from solid 6061 aircraft grade aluminum billet and fit all Generation 5 Camaros. Both handles can be installed in less than 20 minutes without taking the door panel apart. Installation instructions included. Set of 2. Three year limited manufacturer's warranty. Click here to download pdf of installation instructions. Click here to see a video with step-by-step installation instructions. Shipped directly from manufacturer. Please allow up to 10-14 business days for delivery. May only be shipped using Standard Shipping.